In an Irish Country Garden! "Thanks again for making our flowers, they were so beautiful!" 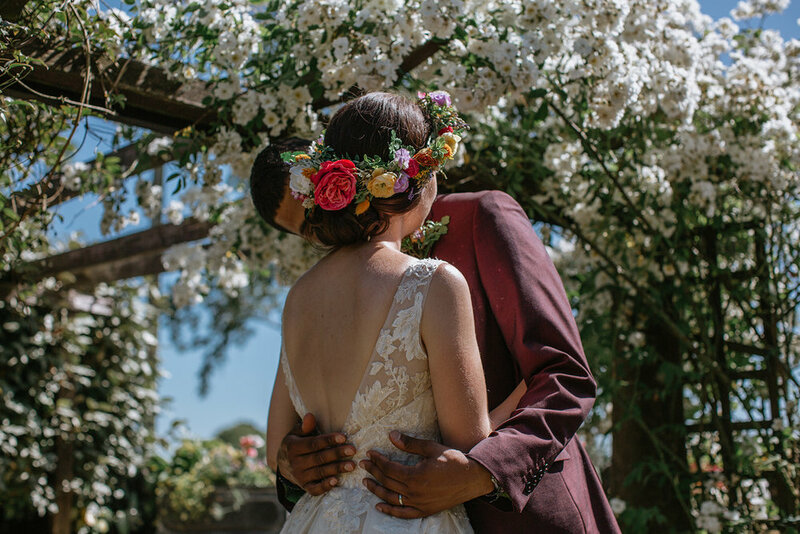 Emma and Ram got married on a beautiful warm and sunny day in June, 2018. They were married at Miltown Baptist Church in Belfast and held their marquee wedding reception in Emma's parent's garden. Emma wanted a mix of brightly colours flowers to reflect her wedding theme of 'country garden with a tropical twist.' Ram's family Island of Mauritius is home to many brightly coloured flowers and plants and so we chose a beautiful selection of cabbage roses, peonies, anenomes, wild grasses and seed pods in pinks, yellows, oranges and blues for the bouquets, floral crown and buttonholes. We think that they all looked perfectly stunning! Yorkshire's Best for Sam and Charley!